The firm is helping the Wyndham Hotel chain tell consumers, "We're not your grandfather's budget hotel." NEW YORK: Super 8 has hired Citizen Relations as its PR AOR to get out the word about its recent $100 million investment in room renovations in the U.S. and Canada. The agency is developing a comms campaign with Super 8 to drive national awareness of the hotel’s room renovations, said Citizen global CEO Jim Joseph. The push is set to begin in the second quarter. "Super 8 is an iconic brand, and they have been innovating their rooms and changing the experience at the properties, so the new campaign is centered on that," said Joseph. "We are looking to get the news of their innovation broadly communicated and drive room bookings across the country." Citizen’s work for Super 8 is focused on earned media, influencer relations, and experiential marketing. Super 8, a part of Wyndham Hotel Group, started the RFP process last fall. Citizen was selected in November and the work began that month. There was no incumbent AOR. Citizen director Kimberly Stohl is leading the account team. Budget information was not disclosed. The brand previously worked with a handful of agencies on a project basis, said Rob Myers, senior director of global communications at Wyndham Hotel Group. "The selection of Citizen aligns with the continued evolution of our broader PR strategy for the brand, building on the momentum of work done over the last several years," he said via email. Myers added that the new rooms have given Super 8 a story to tell among what is "otherwise a sea of sameness in the world of economy hotels." 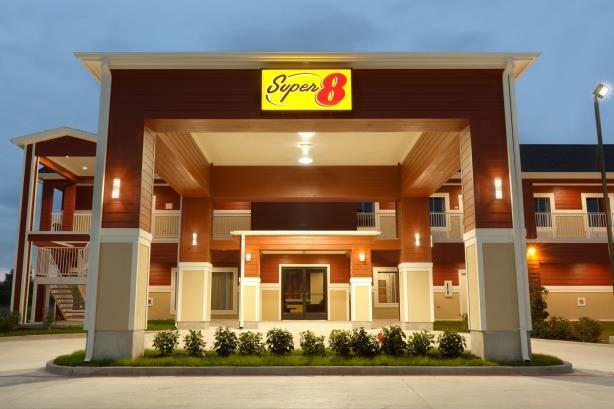 He explained that Super 8 conducted a major marketing push when it first redesigned the rooms in 2016, working with agencies on a project basis. "We want the world to know Super 8 is elevating economy, that we’re not their grandfather’s budget hotel," said Myers. This story was updated on March 14 to correct when Citizen Relations' work started with Super 8.